Packaging Details: Export package, plywood case and according to customer's requirment. A Lateral pipe tee means a pipe fitting which is similar to a tee but has a side opening outlet branch at a 45 degree angle.It is a kind of steel pipe tee,but the branch direction is different with the straight tee.On the contrary to the lateral tee,the straight tee has a branch pipe direction of 90 degree to the run pipe. 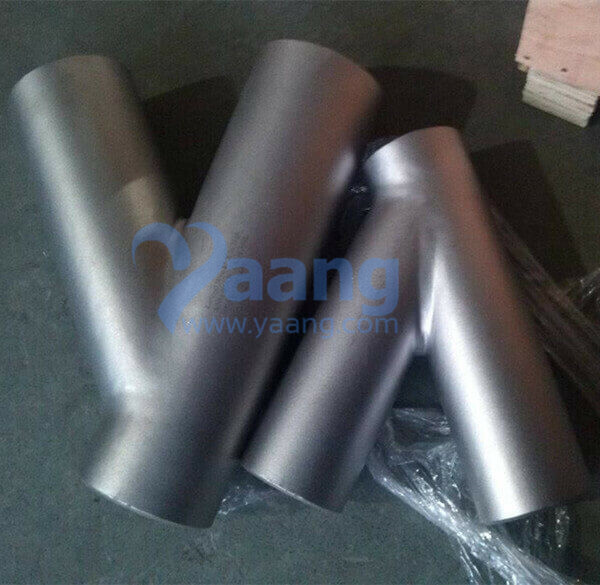 China Lateral Tee Manufacturer yaang supplies ASME B16.9 ASTM A403 WP316L 45 Degree Lateral Tee, DN80, Sch40S. SMLS Stainless Steel Tee 1/2"-24"
Welded Stainless Steel Tee 1/2"-48"
ANSI B16.9; JIS B2311, 2312, 2313; DIN2605; ASTM; GOST and non standard. 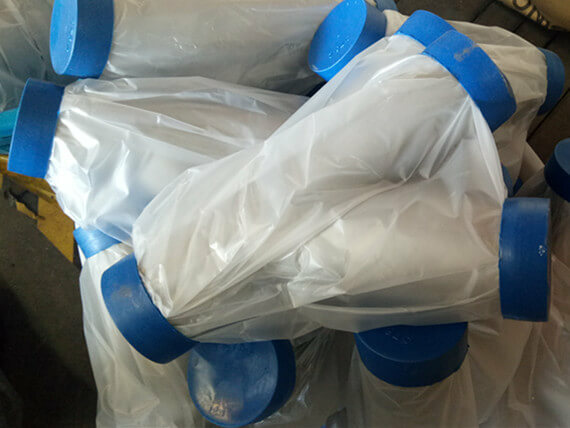 For use in the Pulp and Paper, Water Treatment, Sewage Treatment, Chemical, Biotech, Pharmaceuticals, Food, Mining, Architectural, Transportation etc. Wooden cases,under the client's request. pack with wooden case or load on fumifation plywood pallet . Custom made as customers request . Where can we find the high quality ASME B16.9 ASTM A403 WP316L 45 Degree Lateral Tee, DN80, Sch40S.